Ideal for detoxification of the body. Improves mental clarity and removes itchiness from the skin. Refreshing aroma and properties of basil are ancient and well known in ayurveda. Basil oil has traditionally been used since ancient times to cure headaches, migraines and respiratory disorders. 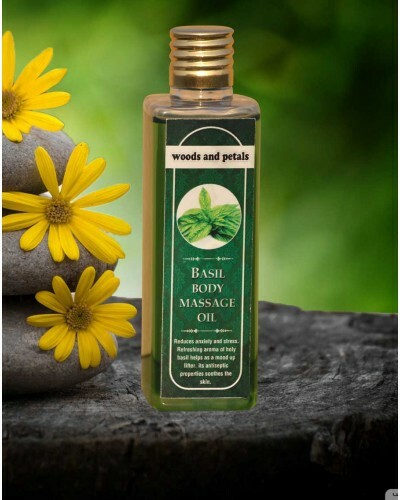 It has been beautifully blended with wheat germ oil and almond oil to give you various benefits . 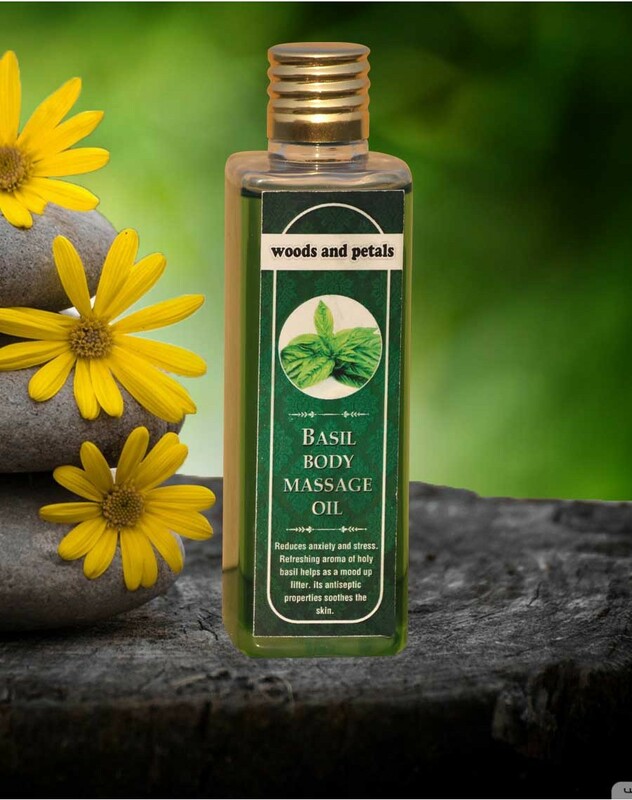 Basil body massage oil has antioxidant properties which help in reversing the aging process by reducing fine lines and wrinkles. Its antiseptic properties control acne and rashes leaving the skin smooth and glowing. It also helps in improving complexion. The refreshing aroma assists in better concentration and mental clarity.